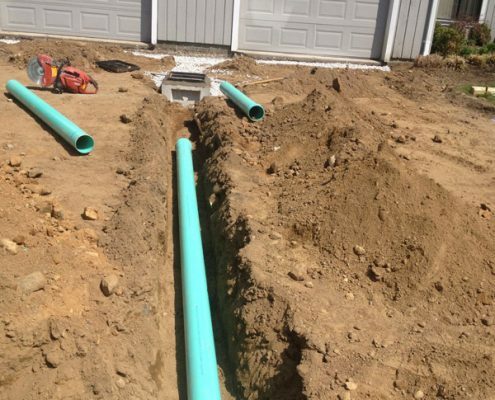 We have extensive knowledge in designing and installing drainage systems for residential, commercial and municipal projects. 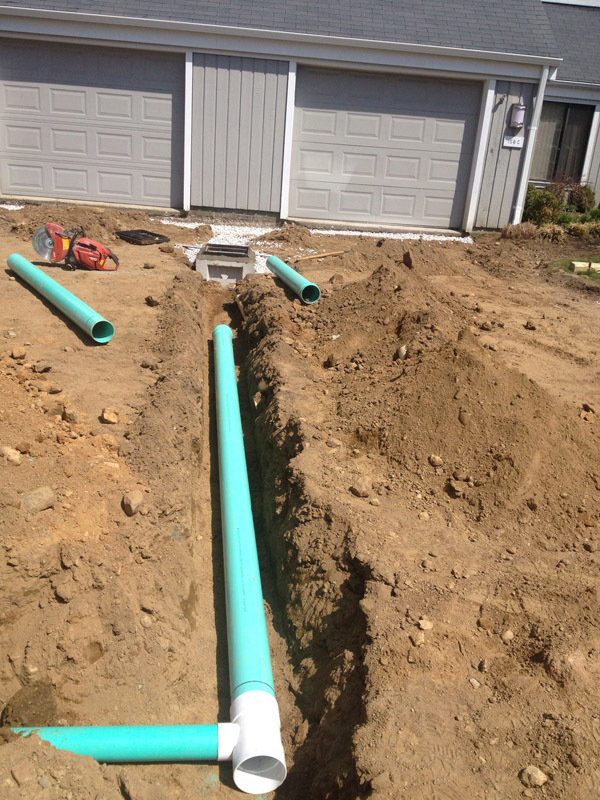 Our services include but are not limited to the installation or repair of curtain drains, catch basins, swales, footing drains, sump pumps, retention and detention systems and culvert pipes. 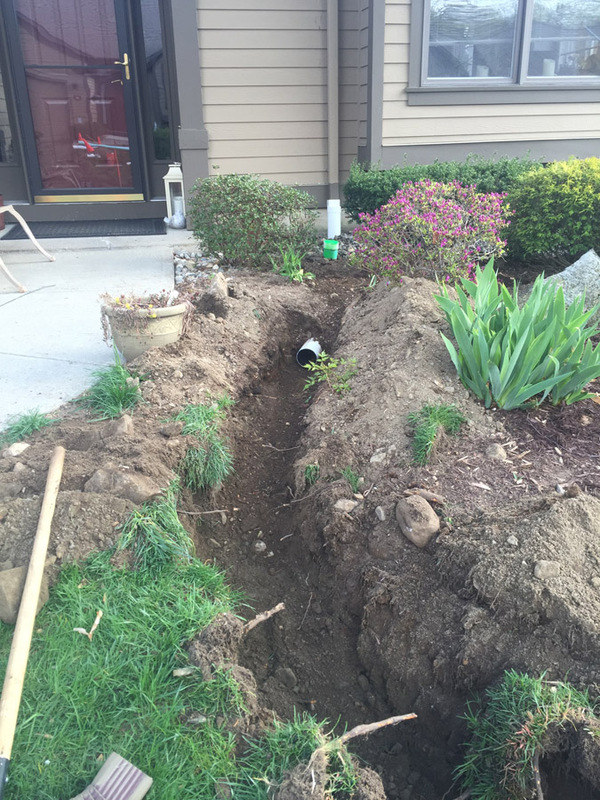 Because we are frequently called in to fix drainage systems installed by other contractors, our goal is to develop a drainage design that will work and be long lasting. We consider all variables such as gravity, soil conditions and grades, and when necessary we consult with engineers. A curtain drain is a trench filled with gravel and a perforated pipe, acting like a gutter system to channel water away from your home. The trench is lined with filter fabric to ensure that the perforated pipe will remain free of clogs from dirt and silt over the years. You may need a curtain drain if there are areas on your property where you have unwanted water pooling or water issues in your basement (curtain drains work great in conjunction with you homes footing drains). A footing drain is an underground drain that allows water to be pulled away from your building to prevent it from entering the basement. When footing drains age, they become comprised and need to be repaired. Sometimes interior footing drains are installed under your concrete basement floor to aid in keeping water out of your basement. Sump pumps are often used for capturing and draining water out of your basement. They are normally installed in the basement where the majority of the flooding may occur, and helps removes accumulated liquid from the sump pit. Sump pumps are also used to decrease dampness by lowering the water table under the foundation of a house or when there is inadequate drainage outside the home. 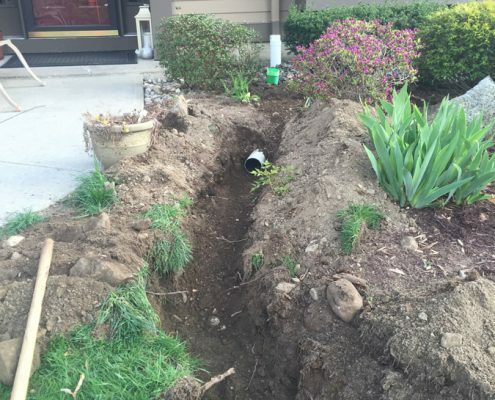 Ready to get started with a free drainage estimate?